Looking for safe and affordable accessible transportation? Look no further! Traveling with a wheelchair can be a hassle. Luckily, we can arrange services that help you get around as comfortable as possible. Tell us where you want to go and we arrange your wheelchair accessible taxi. Each year we assist 1000’s of disabled customers to transfer from their arrival point in Barcelona, Florence, Rome, Lisbon, Berlin, Athens, Copenhagen or any other European city. We bring them with wheelchair accessible transfers to their chosen destination. 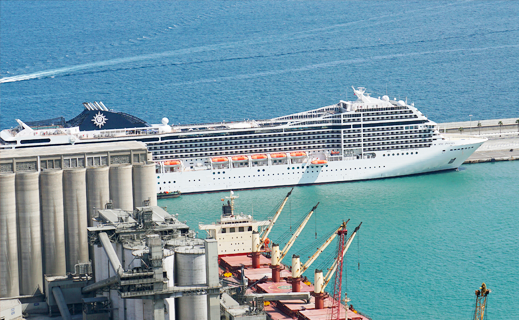 Be it a hotel or to embark on a Mediterranean or Transatlantic Cruise. You will be picked up by one of our drivers. He will help you with your luggage, get you on board comfortably, and of course: bring you to your destination as soon as possible. 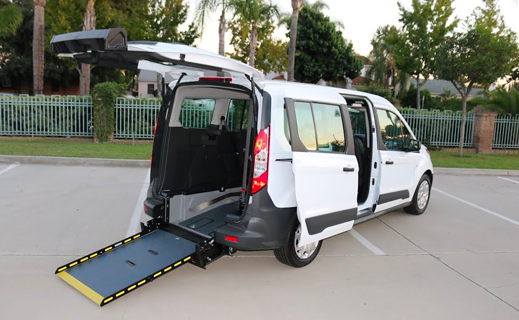 Our fully accessible taxis allow for a rear ramp access and some for a hydraulic lift. The driver will pull out the ramp so you can get on and off the wheelchair cabs without the need to leave your chair. If you are with a big family or group of friends, we will arrange a wheelchair accessible van. We also use these accessible vans in case you are travelling with any outsize luggage such as a commode, (portable) hoist or a walking frame. For larger groups with multiple wheelchair users we have large size accessible vans, adapted coaches, or other types of vehicles. Pre-booking adapted transport is highly recommendable. Usually, there are no accessible transit services or wheelchair transportation services at the public taxi ranks, the airport or cruise ports. Googling for ‘wheelchair accessible taxi near me’ will most of the time not give any results. Reserving adapted transport prior to your arrival will avoid a long waiting time and is stressfree. To make your trip as comfortable as possible we would like to know the dimensions of your accessible equipment. Not every wheelchair is the same, nor is every accessible taxi. Prior to your arrival we will check with the driver if your accessible equipment and luggage fits the adapted vehicle. If it does not fit, we will arrange a bigger size vehicle or offer a wheelchair van service. Since the foundation in 2004, we have been working with a European network of reliable local wheelchair transportation companies. To this day we are constantly aiming to expand our accessible transportation service. We assist anyone with limited walking abilities. E.g: arranging trips for seniors with limited mobility, reserve transportation for wheelchair users or any other transportation for disabled visitors. 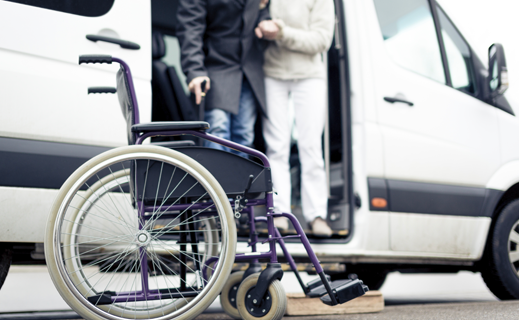 Contact us for your accessible transfer, and we will take care of the rest. Now, all that is last is for you to think about where you go next for your fully accessible holiday abroad!